A collection of Rochester's poetry. 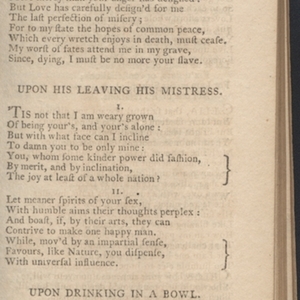 An example of a poem from Cooke's collection. Cooke's reproduction of Rochester's poem "Upon Drinking in a Bowl"
Wilmot, John. “Upon Drinking in a Bowl”. The Poetical Works of John Earl of Rochester, collected and edited by Charles Cooke, 1796-1802, pp. 19. 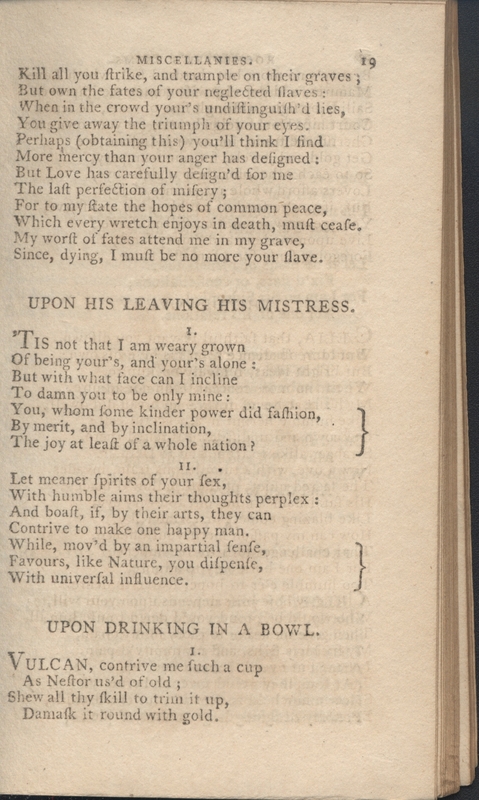 John Wilmot, Second Earl of Rochester, “"Upon Drinking in a Bowl" 1/2,” UVic Libraries Omeka Classic, accessed April 21, 2019, http://omeka.library.uvic.ca/items/show/261.